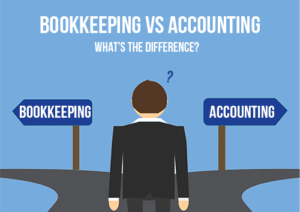 Bookkeeping vs Accounting: What’s the difference? Many people may think that Bookkeeping and Accounting are the same thing. While both deal with the finances of a business it’s important to recognise the difference between the two roles. An Accountant is responsible for interpreting, classifying, analysing, reporting and summarising financial data. An Accountant builds on the financial information provided by the bookkeeper and will apply additional financial analysis to the records. The Accountant will generally work at less frequent intervals, for example to work on quarterly VAT returns or annual accounts. They could also be involved in more specialist projects at certain times; for example, to work on a business plan a or cash flow forecast. An accountant is more likely to give advice, guidance and assistance on financial affairs. 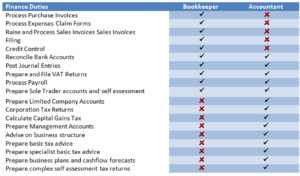 As the word suggests, Bookkeeping is about ‘keeping books’. ‘Books’ are where a business will record its financial transactions. Accounting is concerned with the greater financial picture and performs tasks that affect the whole accounting procedure. 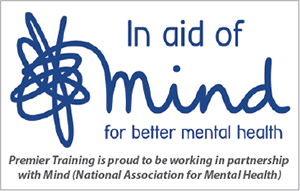 A qualified bookkeeper will have completed the AAT level 2 Foundation Certificate in Bookkeeping and the AAT level 3 Advanced Certificate in Bookkeeping. A qualified accountant should have completed the AAT level 2 Foundation Certificate in Accounting, the AAT level 3 Advanced Diploma in Accounting and the AAT level 4 Professional Diploma in Accounting.